This website is owned by Richardson Roofing (hereafter “Business”) , a company registered in England and Wales (company number 1497223), whose registered office is at Richardson House, Moor Lane, Staines, Staines, United Kingdom, TW19 6EQ. What User derives from use of Richardson Roofing products/services/information depends upon User’s commitment to, and effort in, applying the information. Richardson Roofing does not represent, warrant or guarantee that User will achieve any particular results in business as a result of purchasing and using Richardson Roofing products/services/information. User acknowledges that the success of User’s business depends on User’s skills, effort and commitment. PLEASE SEE OUR EARNINGS AND TESTIMONIAL DISCLAIMER ELSEWHERE ON THIS WEB SITE. Richardson Roofing regularly sends out a newsletter and/or other informational emails (collectively referred to as “Newsletters”) to all Users. In these Newsletters, we may inform you about new services, features or products. User may choose to unsubscribe from the Newsletter at any time using the unsubscribe option at the bottom of our emails, or by writing to us at conor.richardson@richardson-roofing.com or following the unsubscribe link contained in each of the emails. In accordance with UK and International law, any notifications of claimed copyright infringement should be sent to us immediately. Such notification can be sent by email, to conor.richardson@richardson-roofing.com or by letter to: Richardson Roofing, Richardson House, Moor Lane, Staines, Staines, United Kingdom, TW19 6EQ. Incident Reporting : Any complaints regarding violations of these Terms by a User should be directed to customer services at conor.richardson@richardson-roofing.com. 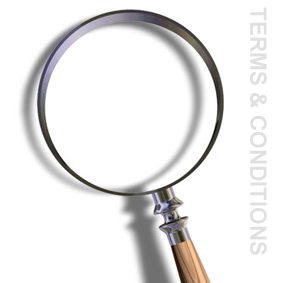 Where possible, include details that would assist the Business in investigating and resolving the complaint (i.e. expanded headers and a copy of the offending transmission). Complaints Procedure : We are very proud of our high standards of customer service however, in the event that we fail in meeting these standards, please do not hesitate to contact us at Richardson House, Moor Lane, Staines, Staines, United Kingdom, TW19 6EQ. These Terms and Conditions were last updated, and became effective, on 04/10/2018.